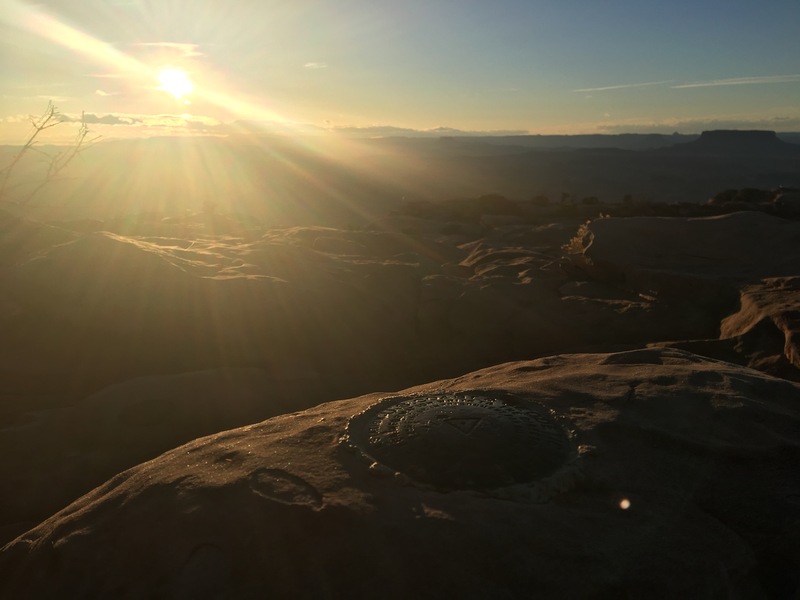 Needles Overlook is a little out of the way for mainstream Moab-goers, but it provides fantastic views of the Canyonlands area. 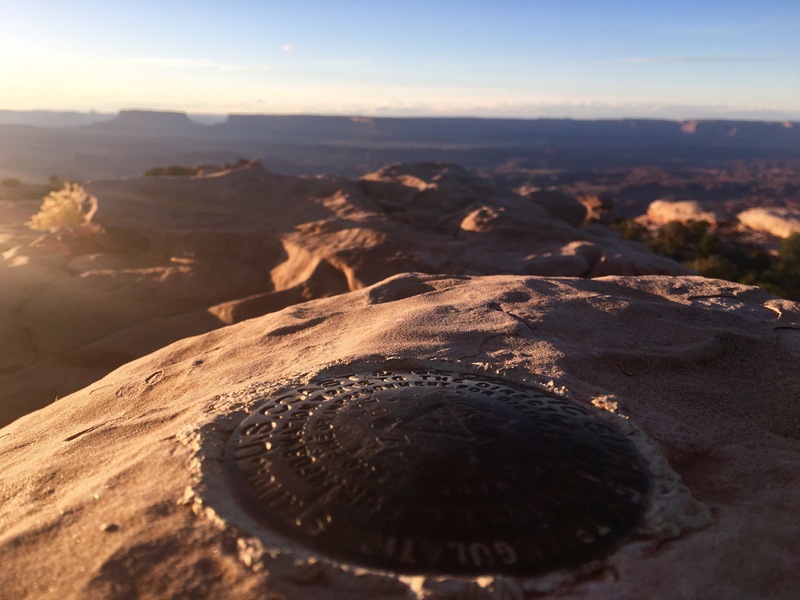 There are three overlooks along the area just southwest of the town of Moab, known as the Canyon Overlooks. Needles overlook is the furthest south and the only one in which access is paved. The northern-most is the Anticline Overlook, which is a well-maintained gravel road its entire access route. 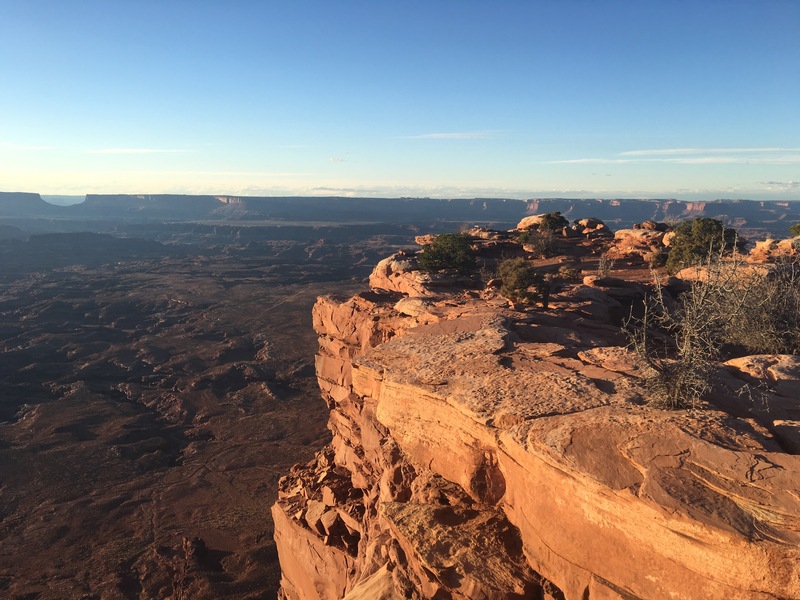 The middle overlook access requires 4wd and is called the Canyonlands Overlook. It was late November when I visited the Needles Overlook. Despite the late and off-season timing, it was in the comfortable 60’s (freedom units) during the day and a brisk low-mid 40’s at night. When we got to the overlook parking lot, there was about an hour of daylight left and we were the only vehicle. 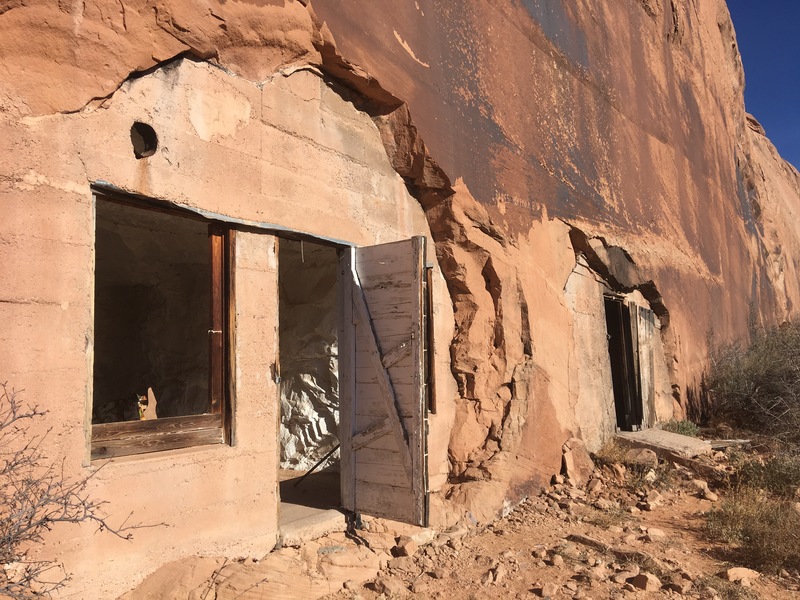 This place would likely be relatively crowded during the peak Moab season in spring and summer. It was an amazing view of the area from Needles Overlook. It was easy to make out the White Rim, along which the legendary White Rim road runs. 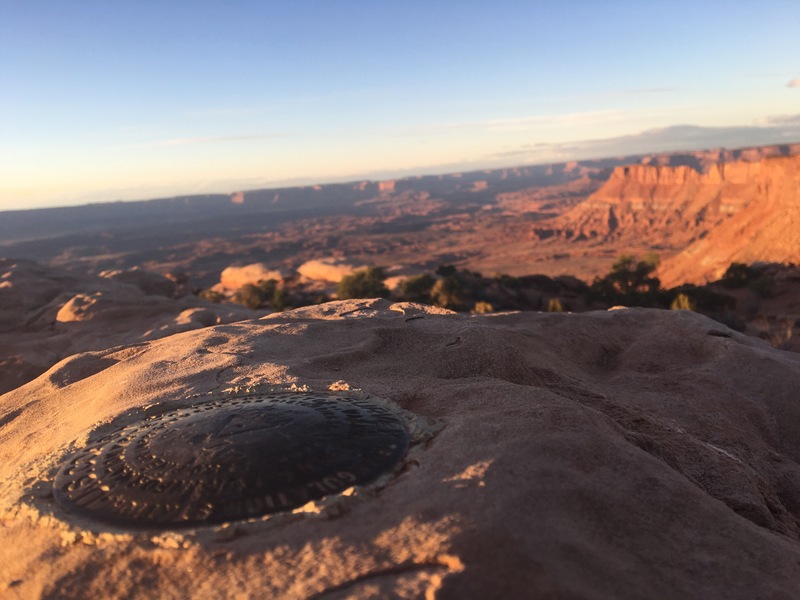 The Needles district of Canyonlands National Park is also visible, as well as several distant mountain peaks. I’ve come across two of these markers by accident. It’d be cool to make a collection of all of the ones I’ve found. On the way to Needles Overlook, depending on the route, there are some interesting features in the area. 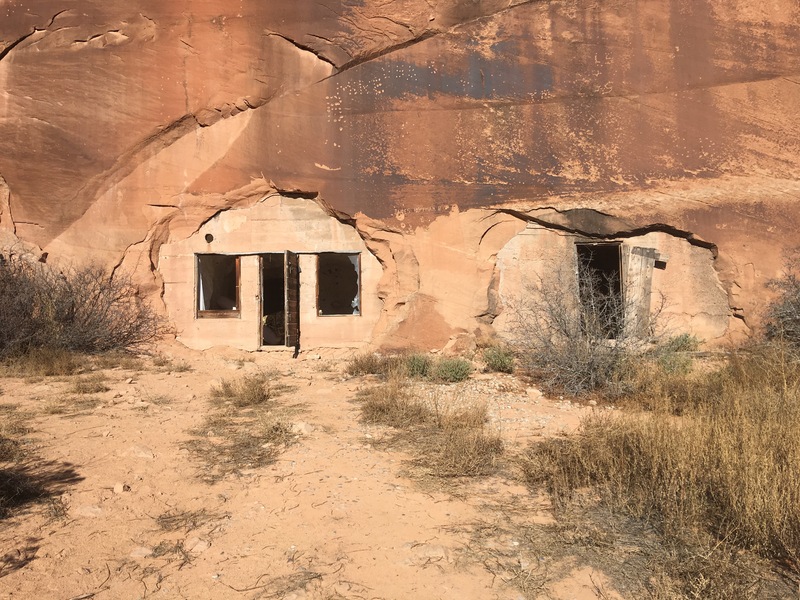 One is an abandoned concrete dwelling built into a rock. I don’t really know what the story behind this is but it’s still interesting. Another feature is an arch, which is part of a rock called Looking Glass rock, that is tucked away from the highway and little trafficked. In November, there were two cars there when we got there. 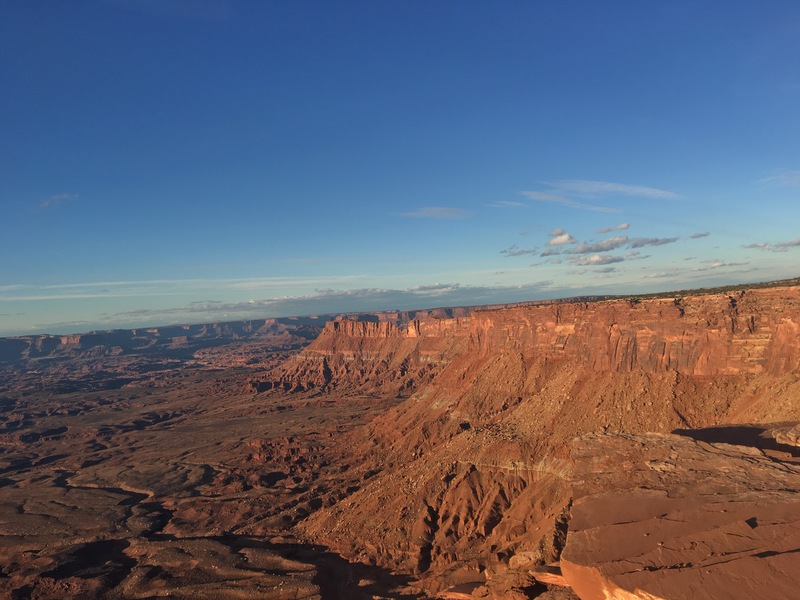 If you’re in Moab to sight-see, explore, or plain just screw around, the Canyon Overlooks are worth exploring.